Saluda, NC, resident Jay Bergen was a New York trial lawyer for 45 years. 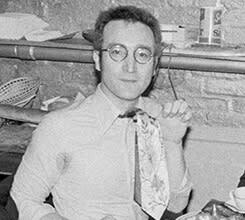 He represented John Lennon, most notably in his protracted court battle with Morris Levy, a notorious Mafia front-man working in the New York City music industry in the 1970s. Over the course of the trial, Lennon and Bergen became friends. In this intimate evening of storytelling, Bergen will surprise and delight with personal anecdotes about the times he spent with Lennon, Yoko Ono, and other rock and roll royalty. This multimedia event is for anyone who is a fan of John Lennon, The Beatles, and their revolutionary impact on pop music. The evening is directed by Catherine Gillet.